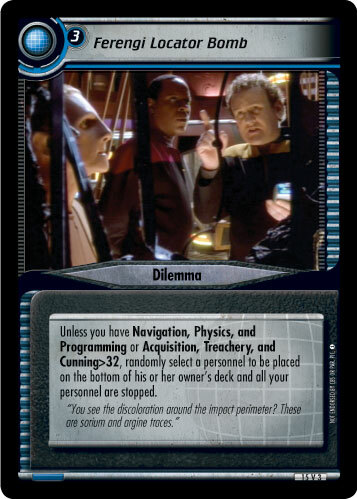 Randomly select two personnel to be stopped. 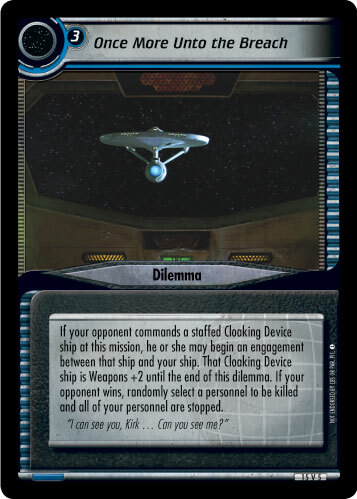 Unless you command one or less headquarters missions, your opponent places this dilemma on one of your headquarters missions. You cannot play personnel at this mission. 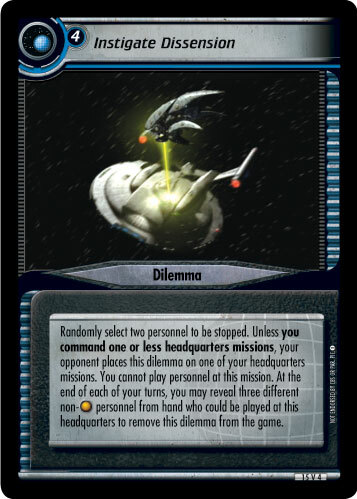 At the end of each of your turns, you may reveal three different non- personnel from hand who could be played at this headquarters to remove this dilemma from the game.